We hold expertise in designing and developing Laser Cutting Machine including Co2 Laser Cutting Machine, and Rotary Laser Cutting Machine. These Laser Cutting Machines integrate advanced components that ensure precision cutting at speedy rate. 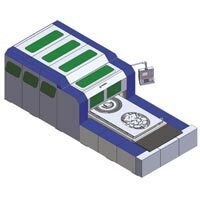 The design of Laser Cutting Machine makes it easy to operate. We offer Laser Cutting Machine at reasonable price. Scantech Laser Pvt. 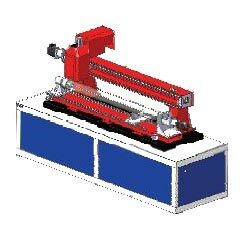 Ltd. offers a wide range of Co2 Laser Cutting Machine. Our laser cutters generate continuous waves with power ranging from 100 W to 1 KW and above. Scantech Laser Pvt. Ltd. brings forth Patriot FR400 Fiber Rotary Laser Cutting Machine. All Rights Reserved. Scantech Laser Pvt. Ltd.